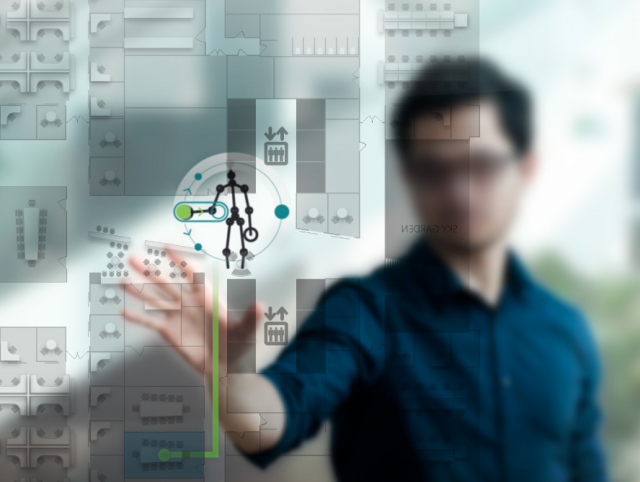 In an article published today by Techcrunch, Microsoft announces its new technology that, just as Google’s ProjectGlass, intends to ‘make the world more user- specific’. In this case, Microsoft’s SemanticMap allows the digital map to adapt to a user’s location and body orientation, employing 3 types of technology that have become very acclaimed in the digital signage/ digital-out-of-home realms lately- gesture recognition, face analysis and proximity detection. 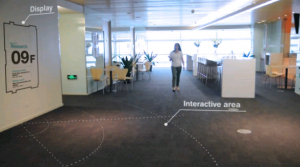 Nonetheless, it provides reliable hints as to what extent augmented reality and interactive digital signage could become part of our daily lives. 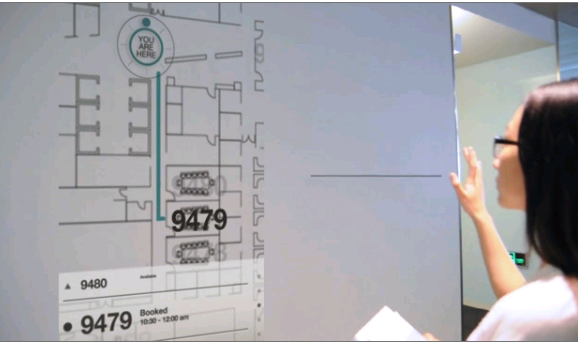 Microsoft’s interactive wayfinding system allows a touchless manipulation of the data, recognises who you are and how close you come to the display (see the similarity with the Xbox), adapting content accordingly ” As they approach the display for more information, we dynamically decrease type sizes and increase the detail level of both map layouts and their information overlays.” Microsoft explains. While day-dreaming about the future, watch this video and try to imagine richer applications of the technology (i.e. imagine digital posters being able to identify criminals looking at the information displayed on the screens). Reading, watch out- NFC is coming to town!